STA-BIL 360 Degree Oil Stabilizer uses proprietary vapor corrosion control chemistry originally developed for the military to prevent corrosion throughout the engine. It deposits a microscopic coating of corrosion fighter on metal surfaces in the crankcase, engine block, cylinder heads, virtually anywhere except the combustion chamber (where STA-BIL 360 Performance takes over). This protection works whether the engine is running or not. Traditional thick, tacky additives stay in the oil pan and don’t work after they drip off the part. 360 Degree works 24/7 for up to 12 months protecting your engine over long storage periods. 360 Degree Oil Stabilizer contains ThinKote Technology, which leaves a thin durable coat of protection on engine parts ensuring lubrication is available in those crucial first seconds after starting the engine. 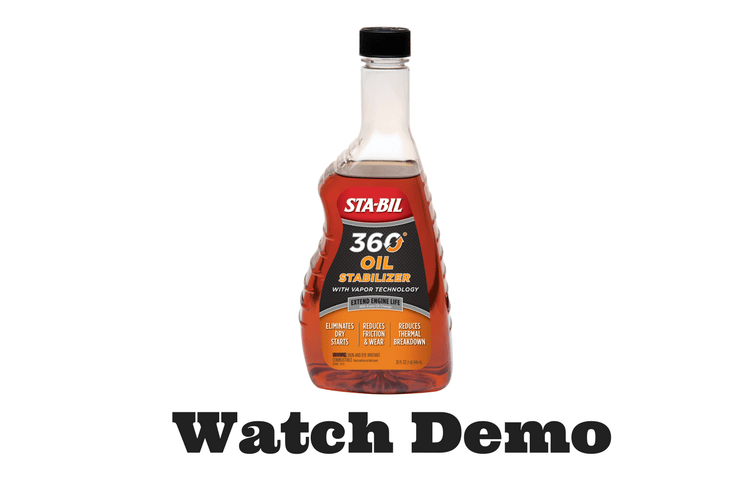 STA-BIL 360 Degree Oil Stabilizer also helps prevent water from contaminating your oil. It keeps water well mixed in the oil helping prevent bearing damage and sludge buildup. Of course, this product also prevents thermal breakdown, reduces friction & wear, and reduces sludge formation as well, it just does it better than the leading brand. Safe for diesel. Use 20% of system capacity. Example: 1 quart oil stabilizer with 4 quarts of motor oil. For every oil change. For use in old and new cars, light trucks, SUV’s and Diesel. Safe for all blends of motor oil, including synthetics, mineral and racing oils. 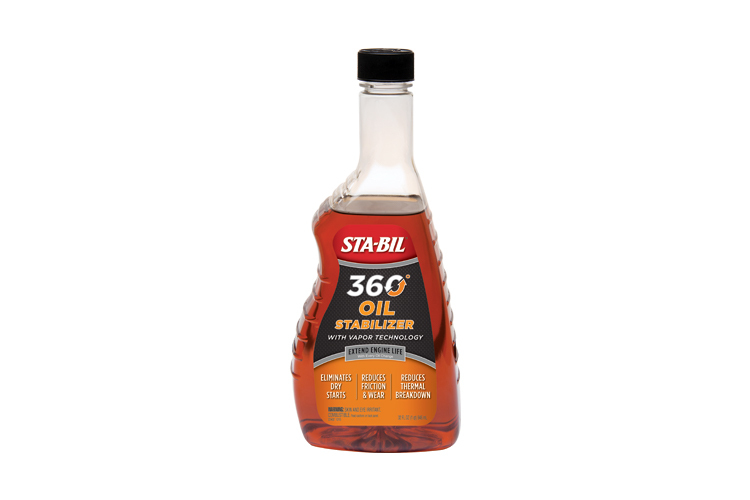 How many quarts of STA-BIL 360° Oil Stabilizer do I use when I get my oil change? Use 20% of system capacity. Example: For a 5 quart system, use 1 quart oil stabilizer with 4 quarts of motor oil. What makes STA-BIL® 360° Oil Stabilizer different from others? 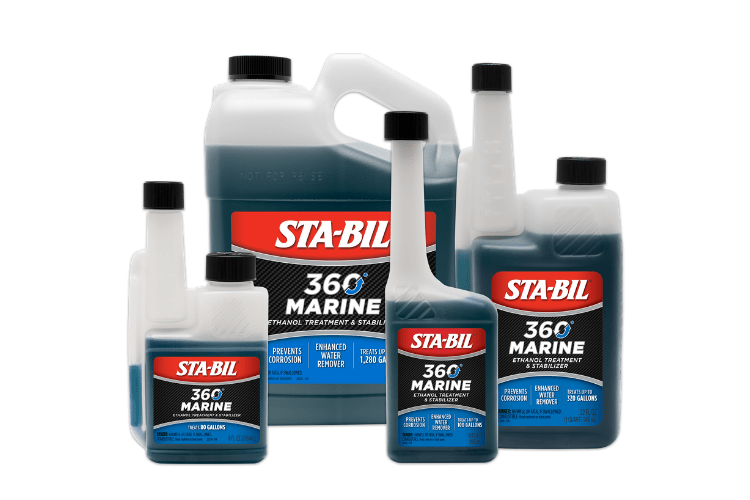 STA-BIL® 360° Oil Stabilizer uses proprietary vapor corrosion control chemistry originally developed for the military to prevent corrosion throughout the engine. It deposits a microscopic coating of corrosion fighter on metal surfaces in the crankcase, engine block, cylinder heads, virtually anywhere except the combustion chamber (where STA-BIL® 360° Protection Ethanol Treatment takes over). This protection works whether the engine is running or not. Traditional thick, tacky additives stay in the oil pan and don’t work after they drip off the part. 360° works 24/7 for up to 12 months protecting your engine over long storage periods. 360° Oil Stabilizer contains ThinKote™ Technology, which leaves a thin durable coat of protection on engine parts ensuring lubrication is available in those crucial first seconds after starting the engine. 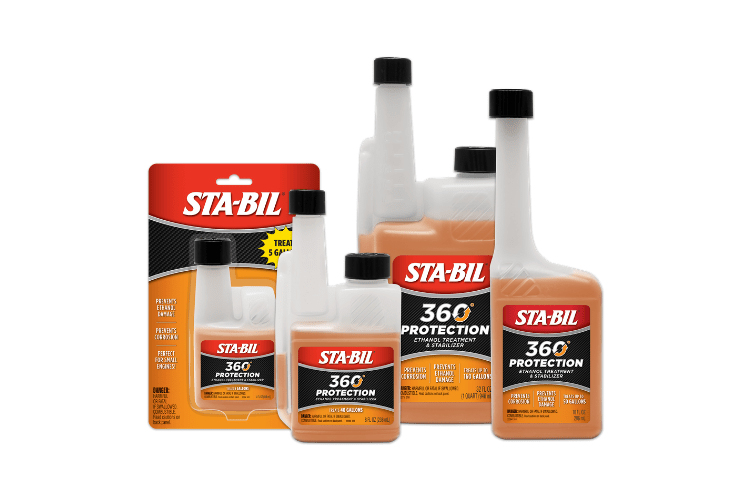 STA-BIL 360° Oil Stabilizer also helps prevent water from contaminating your oil. It keeps water well mixed in the oil helping prevent bearing damage and sludge buildup. Of course, this product also prevents thermal breakdown, reduces friction & wear, and reduces sludge formation as well, it just does it better than the leading brand. STA-BIL® 360°™ Oil Stabilizer is rated 4.7 out of 5 by 72. Rated 5 out of 5 by JBone from Stabil keeps your equipment stable! Simply cannot fault the Stabil line of products, and therefore will rate an overall five stars. Have been really happy with the entire line of Stabil products, most recently when my snowblower fired right up on the first pull after a long summer's worth of sitting in the garage. My neighbor did not use Stabil in his and was spending hours trying to get his newer snowblower to turn over. Whether it's putting in the snowblower for summer storage, or every piece of lawn care equipment for winter storage, I make sure I use it every year and have been ready at the beginning of each season thanks to this stuff. Hope you find the same results as I do! Rated 5 out of 5 by nylyon from Used in my winterization I own and manage the largest single brand garden tractor website in the world. My members are often looking for products to help with their winterization routing, and fuel stabilizers are always first on the list. It is common to change the oil prior to storage, and in my winterization routine I do just that. This year, I have added the extra protection for by using 360 Oil Stabilizer. The Wheel Horses are still packed away for the winter, but I am certain that the spring startup will be smooth and quick. Wish I had this when I winterized the boat. Rated 5 out of 5 by Eatmyshift from I have been using Sta-Bil gasoline treatment in all my gasoline powered engines big and small for over 30 yrs.I have never encountered a problem fuel wise in anything I ever owned thanks to Sta-Bil gas treatment. I have friends that have had fuel issues all the time until I convinced them to use Sta-Bil gas treatments. Since they started using it they have had no fuel issues at all. So when I saw the Sta-Bil 360 I read the products information and thought I would try it since it sounds good to me because of the cheaper quality fuel and metals we encounter today. In my opinion and with the success of Sta-Bils other products for just a few dollars each why wouldn't anyone use their products. I would recommend all their products without a dought. Rated 5 out of 5 by Chasman from Seems to be awesome adds extra protection I have used this for some time now and all the equipment seems to run cooler and I am sure it is adding that little extra protection needed for today's higher demanding engines. 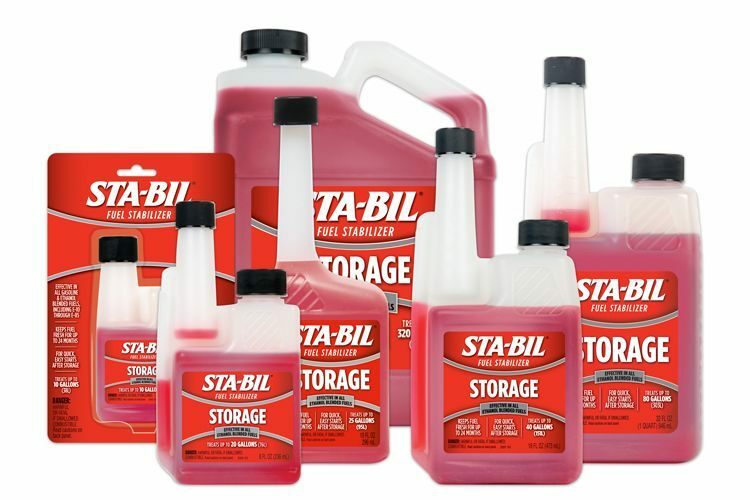 Stabil products are something I have depended on for many years. They are top notch and I will continue to use for years to come. keep up the good work. Rated 4 out of 5 by Xlliblx from Does what it does! 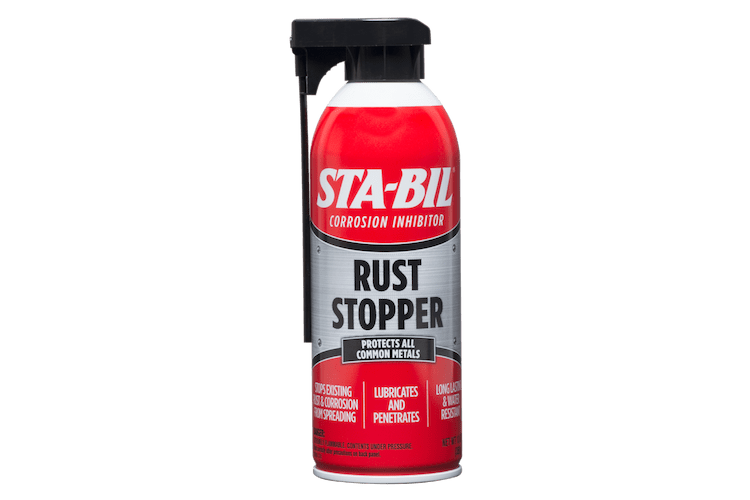 The stabil oil stabilizer does just it says it does! I used it in an older car and the knocking went away! I was a little worried at first but after running it as directed I am VERY HAPPY with the results.